Ever have what you considered to be the best idea ever? You were in the car, grocery shopping, or even in bed, and an idea came to you; a business model, an invention, a concept, a philosophical epiphany…or just a task you forgot you needed to complete! You thought to yourself that you would never forget that moment…and then you did. I am very sad to say that this has happened to me many times, but never again. 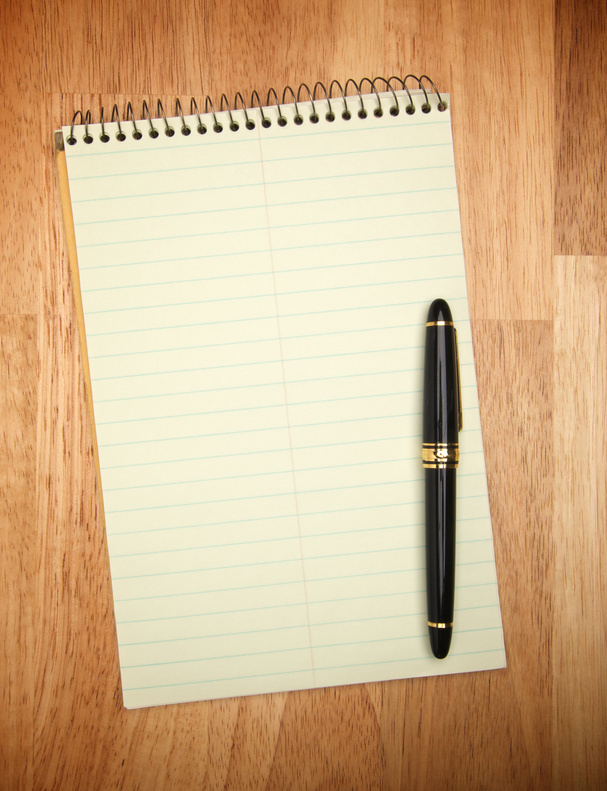 With all the technological advances of present day, my most valuable possession is still…..
A small notebook and pencil. While I cleaned off my desk at work today (by the way..SUCCESS! ), I must have written pages of notes to myself about various things and tasks to be done that came up while cleaning and looking at different documents. By Un-cluttering this one room, I had a plethora of thoughts, ideas, and projects snowball through my brain. This time, I wrote it all down. I have been forever changed from this new habit over the past few weeks, and I know you will be as well if you try it. The idea is simply to collect data from your brain to organize it later into manageable tasks. You will be getting what is in your head down on paper so that you never forget it. This is great for completing tasks and recording new ideas that pop up from time to time. I love using Moleskin notebooks. The simplicity and feel of them is preferable to me over anything fancy, especially a gadget like a smart phone. You can always try out the Hipster PDA. If you must use a gadget, go ahead…but I recommend against it. Simply write things down immediately as they pop into your head during the day (or even next to your bed if you wake up in the middle of the night). As soon as you get home from work, you must transfer your notes into a to-do list. You also have to carry your pad and paper everywhere you go…everywhere; stores, errands, bed, wherever! I’ll tell you what to do next with the to-do list in a later post. Just starting this habit will yield incredible results. I promise. Try it for a day or so and post here what you find!